I know, I know. You’re all probably thinking that I’m nuts. You just had a lot of turkey last week, and you may be eating leftover turkey for well over a month. So why would I suggest you make anything with turkey now? This turkey is nothing like the turkey you’ve been putting in soups, sandwiches, or salads for the past few days. Rather than taking your taste buds down Norman Rockwell holiday lane, this turkey puts you on a plane to Asian Fusion Land. This turkey is lighter and zestier than last week’s bird. This turkey meal can be brought out on multiple occasions and seasons, not just when the weather’s cold and cranberries are here. 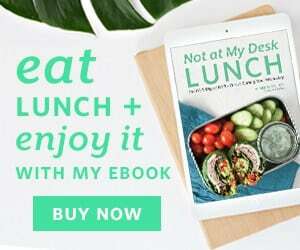 Miso Turkey Lettuce Cups are my answer for a quick, light, yet filling dinner. The Japanese flavors elevate ground turkey from the usual dishes ground turkey is used in. The simplicity of this meal is also great for a busy weeknight. Once you cook the ground turkey, you’re 75% with making the meal! I make this for N after he’s come back from the gym. He gets a good lean protein that’s not your normal chicken breast. Heat a sauce pan to medium heat. Once hot, add turkey and break up into small pieces. Cook turkey until no longer pink in the middle. Once cooked, add onion, bell pepper, mirin, and soy sauce. Cook until onion and bell pepper are soft. To make the sauce, combine all of the ingredients and mix until miso has been completely dissolved. 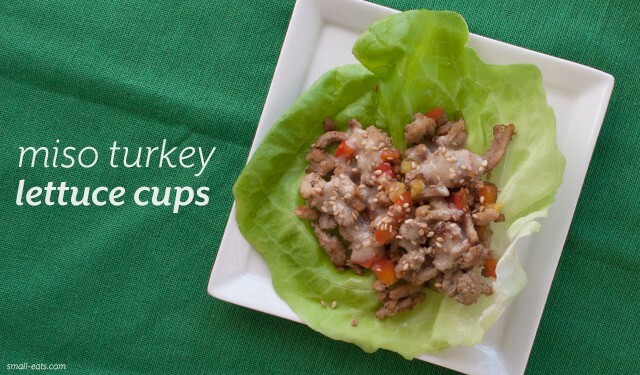 To assemble, place cooked turkey into lettuce cup and top with miso sauce and sesame seeds. Adapted from The Urban Mrs.